A successful “FUN”d-raiser is the key meeting for your monetary goal for your charity, school or church. Whether your fundraising goals are large or small, we have a bowling program that’s right for you! Since all abilities and ages can participate, hosting a bowling fundraising event will attract a diversified crowd to raise money for your group! Looking to raise $500, $5,000 or more… you can’t go wrong with a bowling “FUN”d-raiser! Just give our sales department a call at (262) 251-2340 and we’ll help you get the ball rolling! We have different options available for your fundraising needs. Call now and book your event. Fill out a form below to provide us with a little information, and one of our event planners will contact you to help you with your fundraising experience. 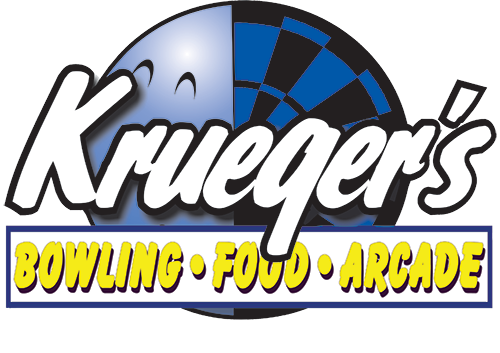 Krueger's has many great Fundraising ideas and events for lots of groups. Many local school groups have raised money to help their sports teams, music departments and much more. Bowling is a great fundraiser for churches, charities and other organizations too! The Bowl-a-Thon has proven to be our most successful program and has helped to raise millions of dollars over the years. Here’s how it works: We help you schedule the best time and date to hold the event. 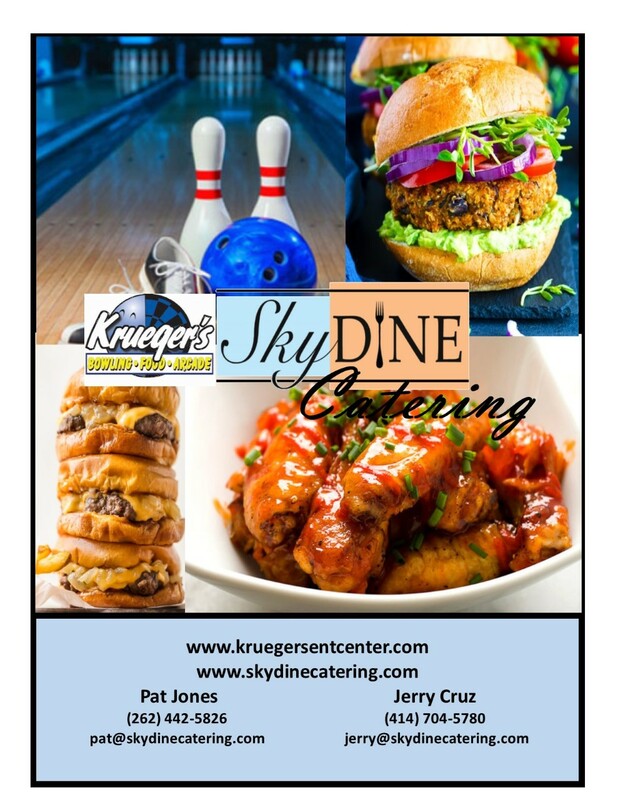 We will provide Bowl-a-Thon pledge sheets for your event. You simply locate as many members or supporters of your organization as you can who are willing to participate in the Bowl-a-Thon. Each participant will be given a pledge sheet and asked to contact family, friends and neighbors to sponsor them in the Bowl-a-Thon. Each person pledges either a set amount (i.e., $5, $10, $20) or a certain amount per pin (i.e., a penny, nickel or dime) for a three game series. Call to discuss the price of the Bowl-a-Thon. The simplest type of fund raiser is a fund-raiser party. The fundraiser bowling party is easy to conduct and simple to run. This involves getting members of your group to come out for a bowling party and 10% of the proceeds from the party go back to the group. For Example: If 500 people came out each paying $20 for the bowling party, $18 for each participant would stay with the bowling center and $2 would go back to the group, in this case, $1,000. 10% of all soda and pizza sales will also go back to the group. The Fund-Raiser Party consists of 2 hours of bowling and use of shoes. In addition, you can run raffles and drawings in the bowling center using items donated for the cause by various companies or have a silent auction in our meeting room. You can have an overnight bowling party. The “overnighter”, or Lock-In, has a 75 person minimum and a 200 person maximum so your entire group can join in on the fun. The cost of this program is only $29 per person. This price includes unlimited overnight bowling from midnight to 6:00 am, use of bowling equipment, arcade games, 2 slices of pizza and soft drinks. You must be thinking, “This sounds great, but how can we raise money?” The answer is simple… Krueger's will give $5.00 per participant back to your organization! You get to have all the fun and raise money for your needs at the same time. This is a great program to help your group spend time together.